Second are the stores with good clothes, that do not belong to a known brand. These stores have more accessible prices. 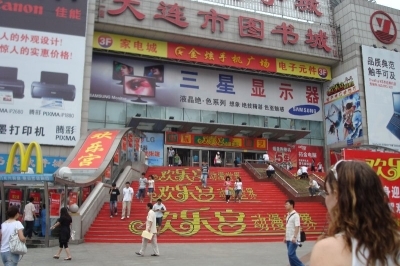 Third are the malls/stores with fake brands, that have written at the entry “No bargaining“ and have prices displayed for every item … These are the malls that usually have good and very good prices for stuff. 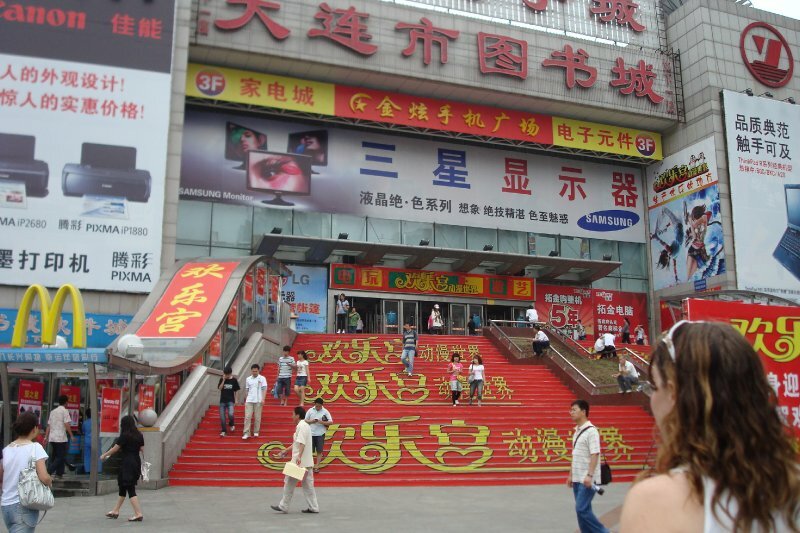 And last, there are the “bargaining malls“. Most of these malls have no prices displayed and you have to ask the seller for the price. These kinds of malls have savage employees. You don’t even need to glance at someones boutique and the seller will run after you with all kind of stuff in his hands, telling you again and again “very gooda, very gooda”. You will constantly have 5-10 sellers in your face that will try to convince you to buy from their store. Very loud and very impolite. First time I entered in this type of mall I was more than confused … I didn’t know what to do, how to react … good thing that I was with my cousin. She was used to this and told me what to do: display a mean face and start cursing them:))) … very efficient method to keep them away. She also thought me how to bargain here. Important rule: Never ever ever pay the amount of money the seller is asking, especially if you are white(be certain that they will try to take as much money as they can from you). My advice is to ask somebody that knows how “things work” to come with you on your first shopping spree. Perfect would be to go with a Chinese person that you can trust. You will surely not be ripped off. 3. The seller is typing his price on a calculator and shows; Only 1% of the sellers I met knew English. 5. In 99% cases the seller will do anything to stop you and will hand you the calculator to input the price you would pay for the item. Always, always keep in mind that the product you want to buy, can be found in many other places. 6. Input a price that is around 3 times smaller that his original price. 7. The seller will first act totally surprised and will try to tell you that it’s no way you will get the item for that price. And will take the calculator from you and will input a price that is just a little smaller that the original price. 9. If you input another price, step 7 and 8 will repeat. If you turn around an leave two things can happen. One is when the seller is happy with the price you are willing to pay and realizes that he can’t get more from you. And says Ok! Ok! – you got the item for your last price offer. Second is when the seller isn’t happy with your price and let’s you go. 10. If he lets you go, be sure that he is mad now and will not sell you the item with less than what he initially asked, even if first he was willing to sell you for less at start. So you need to go to another store and repeat these steps, but be sure to raise a little the price you offered the first seller – you are now sure that the item you want to buy costs more that the price you were trying to get. From my bargaining experience in Dalian, I can say that about 50% of all the things I wanted to buy/bought, I got/could of gotten them for three times less that the initial price. About 45% of them I got for a price between 1/3 and half the initial price. And the rest with a pretty big cut of the price. So when you agree to pay more than half the initial price, you will almost certainly be riped off. Let me give you some examples of things that I bought and the prices I payed. First thing I bought was a fake Rolex, you can find Rolex watches anywhere. I payed 80Yuani for it. The guy initially asked for 200Yuani. I knew that all the watches were fakes, but anyways … it was cool to have one. They have an efficient method to make you think there are valuable watches: They have some normal watches on sale, and when they see a foreigner checking out their store, they bring out a shiny suitcase, with big brand watches, like Rolex, Mont Blank, Philip Patek, Bvlgari and other. Most of them, very good replicas. They will ask for 400-600Yuani(40-60Euros) depending on the watch and your attitude. But none of them cost more than 100Yuani. There are only few watches that are amazing replicas and can get to 200 or even 250Yuani, but you will find those only in some malls, in some private rooms in the back(destined for foreigners), full with well made fakes(thousands of dvds, Gucci, Prada, Louis Vuitton bags, Armani stuff, Rolex watches, etc.). But you must know somebody to have access there. I bought a charger for my camera. Funny story … He first asked for 30Yuani, I said 10, he said 25 and I got it for 15. I was happy about myself for that bargaining. 15Yuani is 1.5Euros … pretty cheap for a charger, right? But, the next day, in other store, I saw the same charger at 6Yuani. I felt a little stupid. The day before I left, I bought a medium/big troller for all the stuff I bought there(I went to China only with a small backpack ). I payed 100Yuans for it, after a pretty big bargaining. The initial price was 350Yuans. Good deal. If you happen to go to Dalian, or anywhere else in China, I hope that by reading this article you will save some money. Happy shopping! 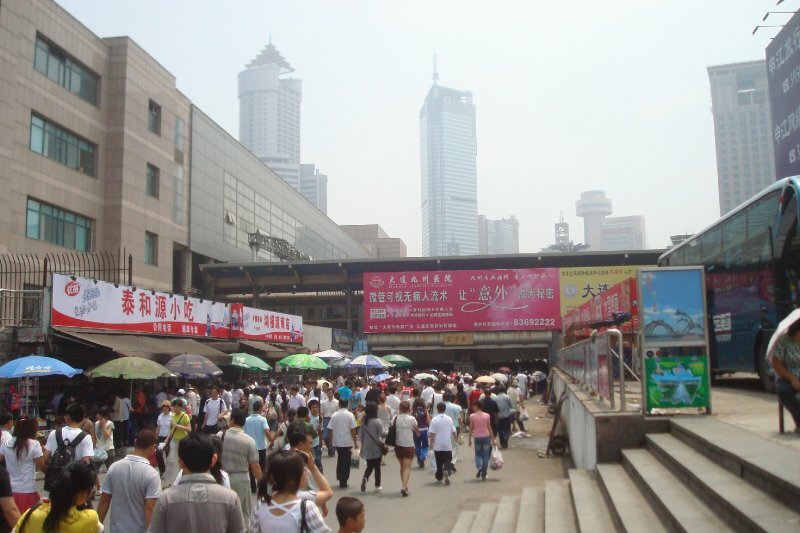 This entry was posted in China, Travel Tips and tagged Dalian, shopping, visit China. Bookmark the permalink.